I won’t lie: I get free wine samples sent to my house and I go on press trips two to four times per year. This site wouldn’t be half of what it is if it weren’t for this assistance. But in all cases, I reserve the final call on whether a wine, winery or wine region gets written about. Here’s the scoop. Like many wine writers and bloggers, I frequently accept samples from distributors, importers, consortiums and other folks in the wine industry. In some cases, I approach them with a story pitch about the wine beforehand, so that it fits with this site’s editorial focus. Even then, if I don’t care for the wine — more likely: if the wine tastes anonymous — I simply don’t write about it. If its an excellent wine, then I do. The same policy applies to wines I buy. On average, I only write a feature story on about 10% of the wines that are sent to me (the average is higher for wines that I buy, but even then, I’d guess its only about 20%). There has to be a compelling story behind the wine — either its origin, its history or its overall quality — for me to devote the time needed to write about it effectively. The rest are shared on Instagram or, if the wine misses the mark, not covered at all. Also: I do not accept unsolicited samples. Please contact me if you have wines that you would like to present and we can discuss whether they might fit with the site’s editorial focus. 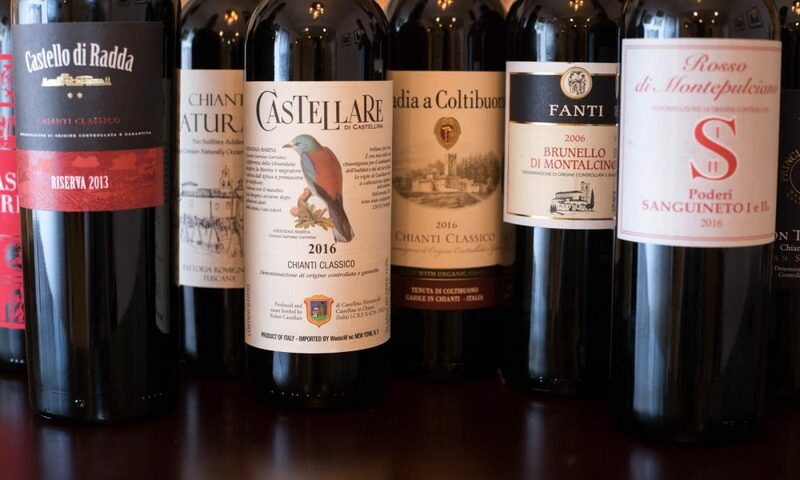 Opening a Bottle is predominantly about Old World wines, but most importantly, wines with a distinct sense of origin and a compelling story behind them. I don’t have a problem with mass-produced wines; its just that they’re story is often not very interesting. Readers are informed at the bottom of all relevant feature stories if any of the featured wines were provided as samples, and by whom. If such a note does not exist, the wine was purchased for editorial purposes. (OK, for editorial AND drinking purposes). Occasionally, I am invited on press trips, in which an importer, PR agency or regional organization will host a group of wine writers and beverage professionals to explore an area’s wineries and vineyards. To some, this is a poison pill. My response: I’ll gladly let you fund my independent travel, because it ain’t funding itself. For me, press trips are (a) the only way I can afford to travel to Europe and many wine regions and (b) a thoroughly educational experience, regardless. I do not attend large-group/motorcoach tours, and because of other work commitments, I can only attend 3 to 4 trips a year. This gives me the luxury of being very choosy about where I go, which benefits the editorial and photography focus of this site. I don’t go on every trip that’s offered to me, but I do try my best to help connect PR people with other wine writers who are a better fit, talented, and — most importantly — a delight to travel with. If you are interested in inviting me on a press trip, contact me. Let’s discuss. Because of my editorial focus, press trips to European wine regions have priority. When I am invited on a press trip, I let the agency/consortium know that coverage on Opening a Bottle is not guaranteed. As a wine journalist and critic, my priority is to my readers, not to promoting anyone or any place, no matter how generous they are. I maintain all editorial authority regardless, and retain the full rights to my imagery. Readers are informed at the bottom of all relevant feature stories if any of my travel costs were funded by outside sources, and by whom. If no such note exists, I funded the travel myself. At this point, none of the posts on this site are paid for or fashioned as advertorial. Although, this may change as this site does not generate anywhere near enough revenue to justify the resources and time I spend on it. Also: once I am able to generate revenue from this site, that money will go towards adding a contributor (or two) and to more independent travel and reporting. I am currently looking for sponsored content opportunities (contact me) but these will only pertain to businesses and organizations that have a natural affinity for wine, not actual wine brands (e.g. wine education, wine tours, cheeses, Geico … ok, I’m kidding on that last one, but they seem to have a lot of money). Know this: Opening a Bottle is a genuine labor of love. But I also have to eat. And my kids, too: they need swimming lessons.